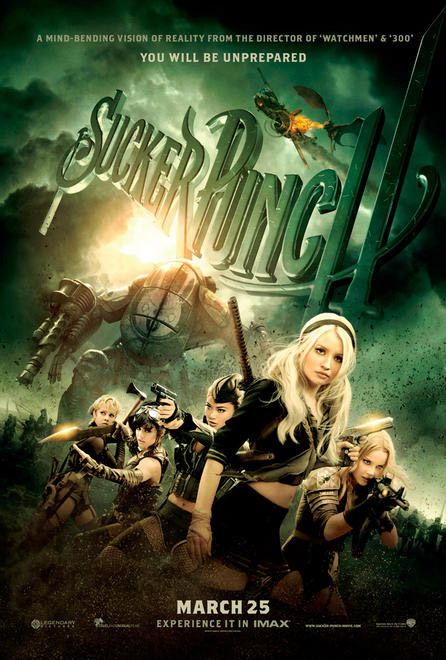 New poster and banner for Zack Snyder's 'Sucker Punch'. The anticipated fantasy action film stars Emily Browning, Vanessa Hudgens, Abbie Cornish, Jamie Chung, Jena Malone, Carla Gugino, Jon Hamm, Oscar Isaac and Scott Glenn. It opens in theaters and IMAX on March 25.